Maintenance free living at its finest! This three bedroom, two and half bathroom, two car garage, end unit, is located in the prestigious Crenshaw Reserve community. A beautiful walk way to the front door, open downstairs layout with a cozy family room, dining area, and spacious gourmet kitchen. 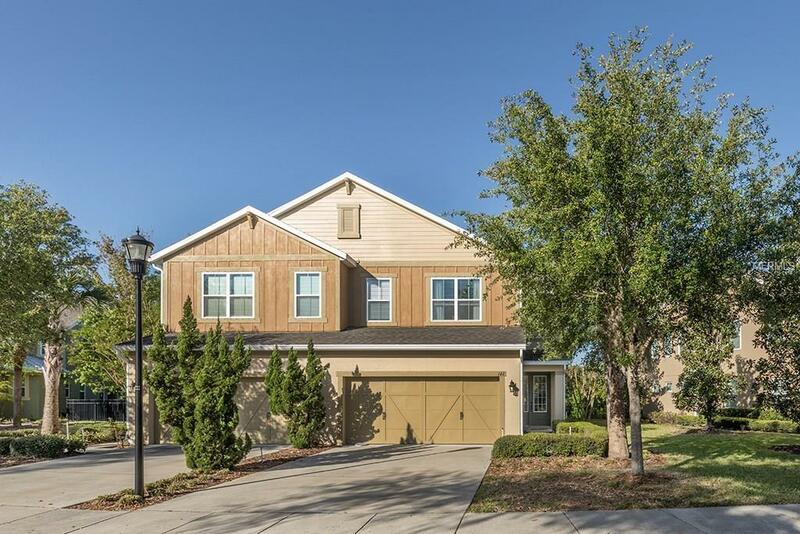 Wood tile, crown molding, solid wood upgraded cabinets up to the ceiling for extra storage, stainless steel appliances, large farm sink, and island to entertain. The upstairs features two spacious bedrooms with a Jack and Jill bathroom with private vanities. The private, over sized master suite upstairs with a dual vanity, separate shower, and a garden tub with hydro jets. Relax with your morning coffee on the tiled second floor balcony that overlooks the conservation, or grill out on the first level screened in lanai. This townhouse has been fully upgraded, freshly painted inside and out, and has been kept in prestige condition. No flood insurance required!